The Silver Lion for Best Director went to Jacques Audiard for ‘The Sisters Brothers’. 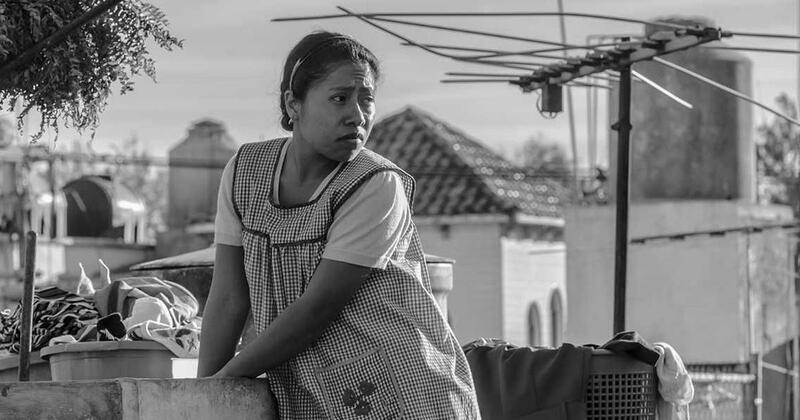 Alfonso Cuaron’s Roma took the top award at the 75th Venice International Film Festival, which ran from August 29 to September 8. Set in the 1970s, Cuaron’s semi-autobiographical film traces life in Mexico City through the journey of a domestic worker and the family she works for in a middle-class neighbourhood. It was screened in the festival’s main international competition section and won the Golden Lion award. Deadline reported that this is the first film distributed by Netflix to win a top honour at a major festival. The main competition winners were chosen by a nine-member jury headed by Guillermo del Toro, whose The Shape of Water won the Golden Lion last year, followed by the Academy Awards for Best Picture and Best Director. Yorgos Lanthimos’s The Favourite, a period comedy-drama starring Olivia Colman, Emma Stone and Rachel Weisz, won the Grand Jury Prize, considered the festival’s second-most-prestigious award. Colman took home Best Actress Volpi Cup for her portrayal of a Anne, Queen of Great Britain, in the film. Willem Dafoe won the Best Actor Volpi Cup for his portrayal of Vincent Van Gogh in Julian Schnabel’s At Eternity’s Gate, which revisited the prolific artist’s last days. The Silver Lion for Best Director went to Jacques Audiard for The Sisters Brothers, the French filmmaker’s English-language debut. The Western comedy stars John C Reilly, Joaquin Phoenix and Jake Gyllenhaal. Jennifer Kent’s period thriller The Nightingale won the Special Jury Prize and its lead actor, Baykali Ganambarr, won the Marcello Mastroianni Award for emerging performers. Kent, who made her debut with the 2014 horror film The Babadook, was the only woman in the main competition line-up, an imbalance that invited criticism for the festival. The Coen brothers’ The Ballad of Buster Scruggs won for Best Screenplay. The Lion of the Future award for best debut film went to Syrian filmmaker Soudade Kaadan for The Day I Lost My Shadow. The winner of the festival’s Horizons sidebar competition was Thai filmmaker Phuttiphong Aroonpheng’s Manta Ray. Emir Baigazin won Best Director for his Kazakh-language film Ozen (The River) and Mahmut Fazil Coskun’s Turkish film Anons (The Announcement) won the Special Jury Prize in this section. The Horizons best actress award went to Natalya Kudryashova for The Man Who Surprised Everyone while Kais Nasif won best actor for Tel Aviv On Fire. Tibetan director Pema Tseden won Best Screenplay for Jinpa. The Horizons Award for Best Short Film went to Indonesian film Kado, (A Gift) by Aditya Ahmad. The Golden Lion for Lifetime Achievement went to British actress Vanessa Redgrave and Canadian filmmaker David Cronenberg.